Happy Summer Solstice! 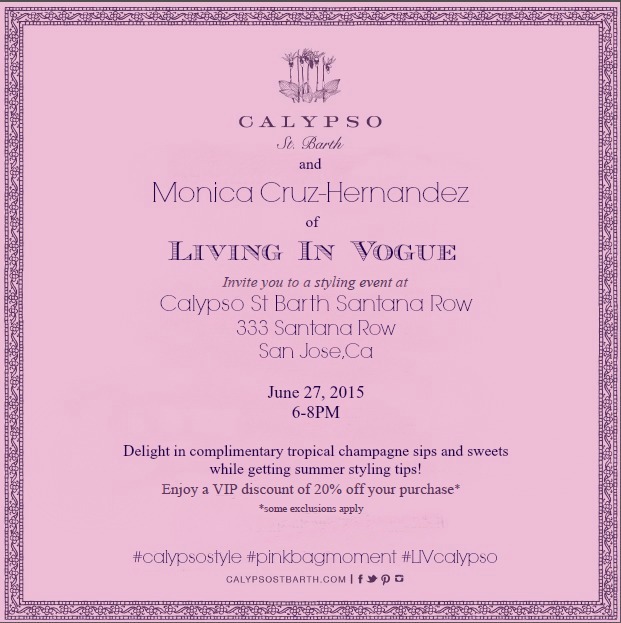 It is officially pool party season and I am so excited to invite you to get summer style ready with me at Calypso St. Barth Santana Row. This super fun sip shop event will include some great deals, like 20% off your full purchase. Come get styled by me while enjoying some amazing Lemonade Moscato along with cupcakes! See you there!